Building on individual projects set up from 2011, Tara has now founded a creative social enterprise called SoundsCreative Projects. 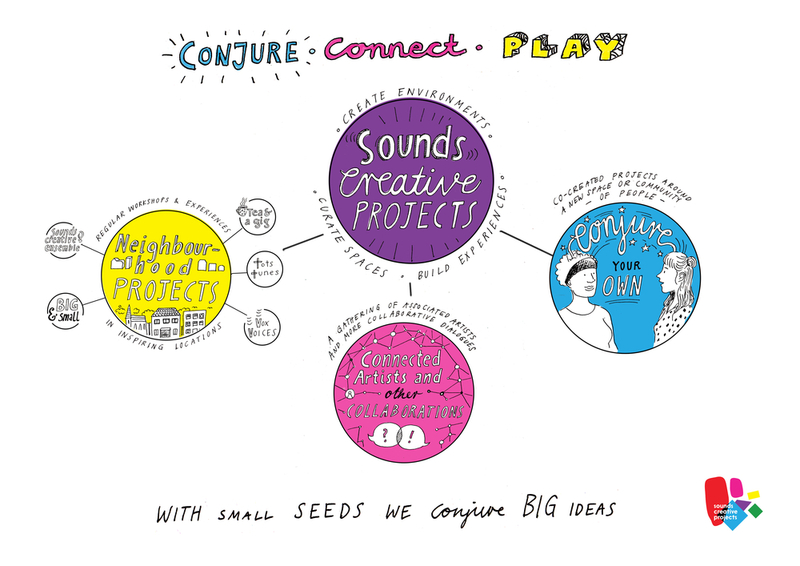 The vision - to gather together and connect people of all ages by conjuring up experiences, co-creating ideas, curating spaces and encouraging play through music and the arts. Projects are currently led by Tara and a growing network of connected artists. SoundsCreative runs a series of regular neighbourhood projects across Hackney & Islington (including the renowned Tots Tunes, SoundsCreative Ensemble and weekly community singing workshops Vox Voices), and is commissioned to run bespoke musical experiences, co-created projects and creative training sessions - the Conjure your Own projects.